Spring has sprung in the Richmond Region and that means Zyrtec, craft beer, and cool evenings outside for dining and drinking enthusiasts. A slew of options for a cocktail and a bite to eat while soaking in beautiful spring days and nights are sprinkled throughout the Richmond Region; these are five of the best! There’s nothing else like it. 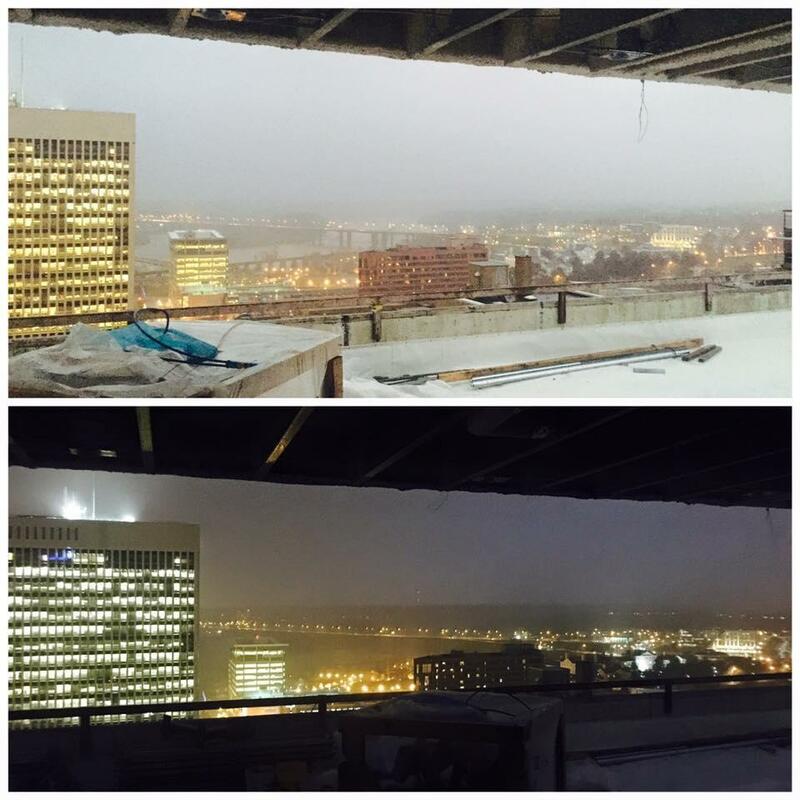 Nestled at the top of the Quirk Hotel in downtown Richmond, this unique rooftop space is truly one of a kind in style, ambiance and just plain cool. Quirk, recently named of the Best New Hotels and Resorts in the World by Conde Nast Traveler, oozes RVA in every way and now lets you party in the sky. A little slice of Italy conveniently located off River Road near the Country Club of Virginia, Portico transforms a quaint cottage into a dining hotspot with a patio from a painting. 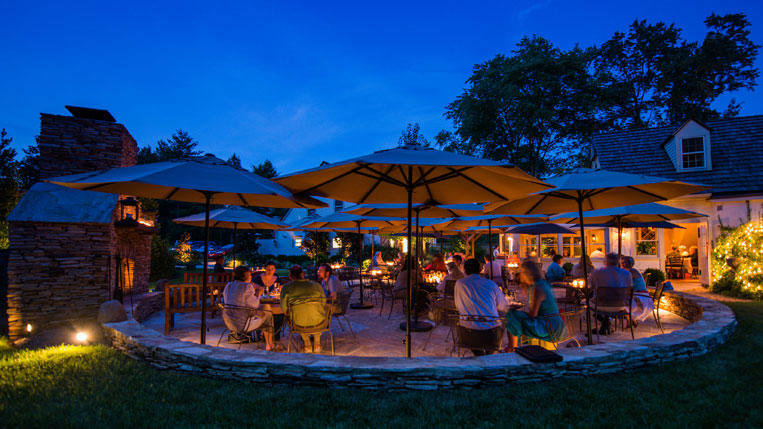 Stone, candles, umbrellas, and the Richmond spring sky give diners an aesthetic experience in a welcome environment. Originating at Sunday Park in the Brandermill neighborhood of the Midlothian region, the Boathouse expanded a few years ago to a gorgeous, massive riverfront location east of the City of Richmond in the Rocketts Landing subdivision. 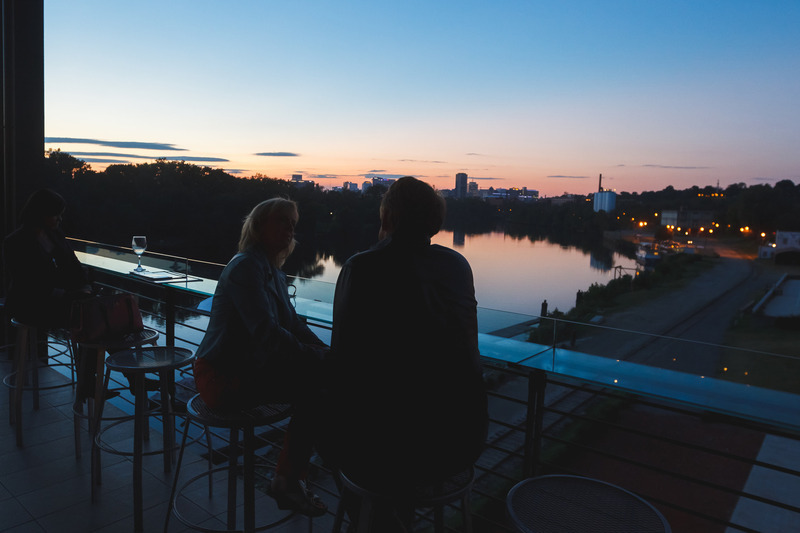 One of the best places to catch a sunset in the Richmond Region, the Boathouse at Rocketts Landing multi-level patio is a happy hour enthusiasts dream. A hidden gem at the top of Carytown, Xtras is light and easy and has a small second-story patio overlooking Cary Street. Great for brunch, sip a mimosa Sunday morning on this perfect patio. 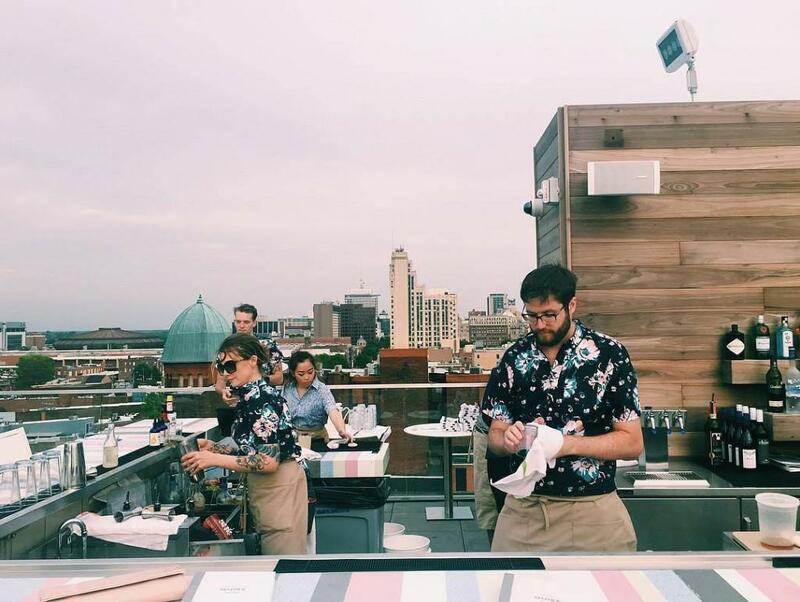 A fantastic Fan neighborhood hang out patio near Virginia Commonwealth University, Postbellum boasts a vast rooftop space with tons of seating at a lengthy bar and picnic tables that encourage groups. Big beer lists, diverse food options, and enjoying an IPA on a cool Richmond Friday night make this a patio not to be missed. Kabana sits 20 floors above its sister restaurant Belle and James. With epic river views and lots of fun parties, the likes of which Richmond has never seen, planned, Kabana is going to be a place to see and be seen in the River City. Stay tuned! Michael J. Hippchen is a freelance writer and photographer based out of Richmond, VA. Michael has a passion for good bourbon, a firm cigar, live music, and copious amounts of black coffee.